When my cousin was a toddler, her mother caught her sitting on the kitchen floor, with the legs and wings of a shiny half-eaten cockroach hanging out of her mouth and a self-satisfied smile on her chubby face. This story has always evoked nothing but a violent spasm of overly theatrical dry retching on my part, as I’m sure it would for many. However it turns out my adventurous cousin may have actually been trying to show us that she had discovered the solution to world hunger – if only anyone had understood her genius instead of screaming and vigorously washing her mouth. Skye Blackburn, food scientist, entomologist and founder of The Edible Bug Shop is working hard to overcome the trifling issue of consumer disgust. 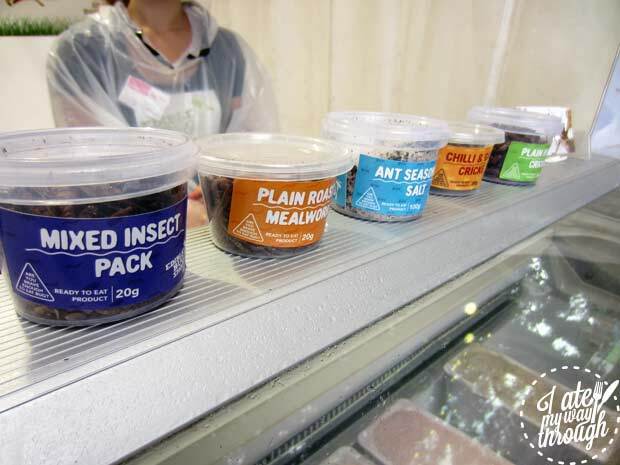 The Edible Bug Shop sells edible insects which have been specifically farmed by Skye and which satisfy food health and safety requirements. However the insect products they sell are not just completely safe but thanks to acres of research and experimentation, they are also remarkably delicious. Skye has an amazing understanding of the different flavours of each type of insect and how they can be enhanced by certain food pairings. But before I start tempting you with descriptions of mouth-watering insect-centric foods let me explain a little more about why they’re so good both for your health and for the environment. As a girl with a voracious appetite, I initially found it hard to believe that some puny insects could ever be a true substitute for a big ole slab of steak. However Skye informs me that mealworms are 33% protein, which is actually more than a steak (20-28% protein). So, gram for gram, you will become fuller for longer by eating insects rather than meat. They are also low in fat and contain an impressive array of other essential vitamins and minerals. Crickets for example are high in calcium, while bees are high in essential fatty acids and termites are high in iron. When comparing the resources required to raise livestock versus insects it is overwhelming how much more space, water, food and time is used for livestock. These are all commodities which we can no longer afford to be wasting, and this is what makes insects a truly viable solution to world hunger. Additionally, insects don’t produce any carbon emissions so they don’t contribute to global warming. Those who choose vegetarianism for environmental (or health) reasons should therefore be the first to embrace this uniquely sustainable protein source. Another positive outcome of the widespread adoption of an insect infested diet would be the creation of income opportunities for the rural farming areas that would produce them. Why Don’t we Eat Bugs? 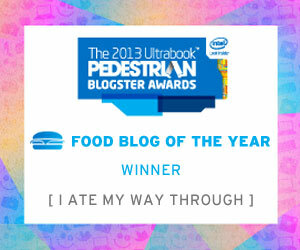 So, back to the issue we need to overcome in order to utilise this undeniably wondrous foods source – consumer disgust. Basically, the thing about us silly humans is that we are completely blinded by our social and cultural customs. Have you ever considered why we find the idea of eating snakes, horses or guinea pigs disgusting but we enthusiastically tuck into little baby lambs, fish eggs and even snails? There’s nothing inherently repulsive about the idea of eating horses, snakes or guinea pigs and they are eaten in many different cultures, just like insects. In fact, we Australians are in the minority, with 80% of the world already eating insects without any qualms. The exception to this of course is Indigenous Australians, who have been eating insects for a good 45, 000 years while the non-indigenous population has remained largely oblivious to the numerous benefits of doing so. Skye recognises that the eating of bugs for people in Western societies is largely a case of mind over matter and she has actually demonstrated this expertly in an experiment. In the experiment she presents a panel with three different choc chip cookies, one of which contains ground mealworms. The results have shown that the majority of people actually prefer the bug cookies when they don’t know what’s inside them! 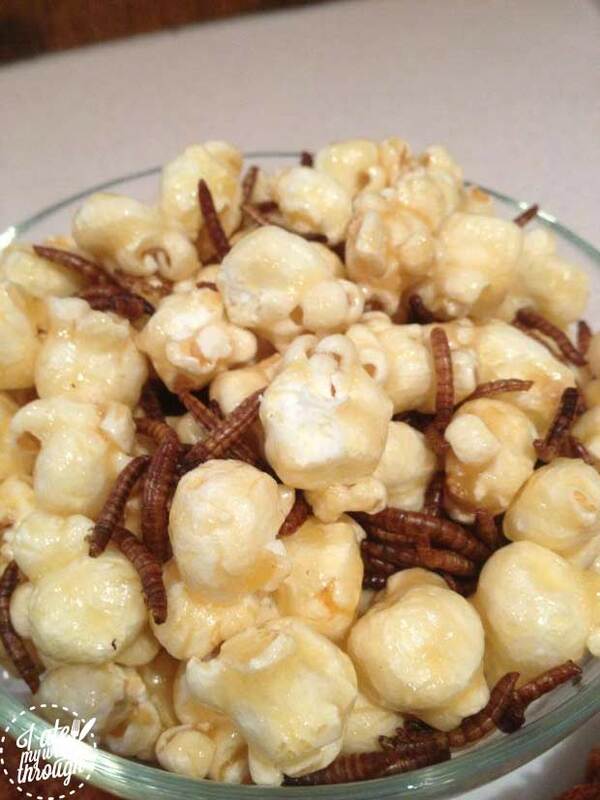 For the faint of heart, eating ‘invisible’ bugs such as flour which has been enhanced with ground mealworms is the perfect way to incorporate the benefits of insect eating into your diet without any of the cringe factor. 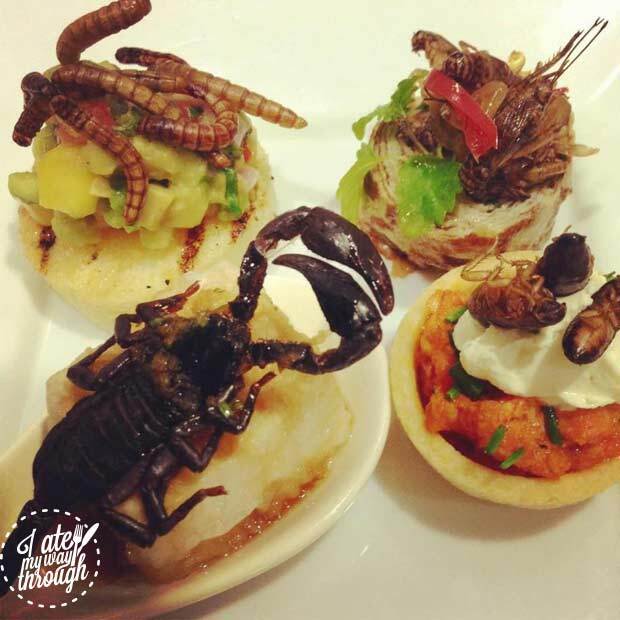 However, for those truly adventurous food lovers out there, I’m sure that you, like me, are intrigued by the idea that insects could represent a whole new range of food flavours and textures which are as yet undiscovered by our eager taste buds. According to Skye, each insect has its own unique flavour which can be enjoyed in its own right. She says that crickets and mealworms have a nutty flavour, while the ants have a unique citrusy flavour. The products that she sells therefore harness these flavours and enhance them to create complex and innovative new flavours. 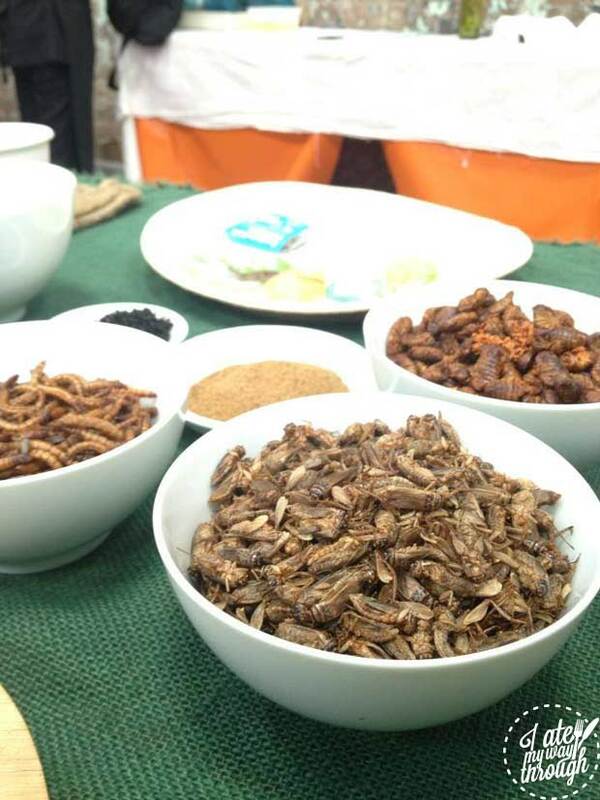 Some of these products include chilli and garlic crickets, chocolate coconut pupae and ant salt. 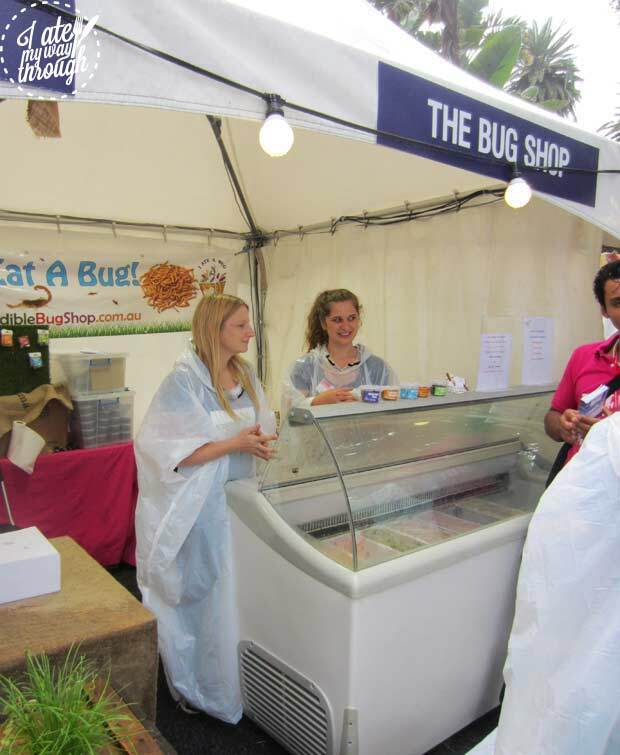 The idea that there were exiting flavours out there that I hadn’t yet experienced drove me to Skye’s Edible Food Shop stall at Taste of Sydney festival this weekend. My expectations were high, but they still did not prepare me for the genius she had unveiled at the festival; insect enhanced gelato. Skye has coupled up with the award winning gelato maker, Cow and Moon in Enmore to create three amazing flavours. She has a guava and ant gelato in which the unique citrus flavour and slight crunch of the blended ants elevates the gelato to the next level of amazingness. 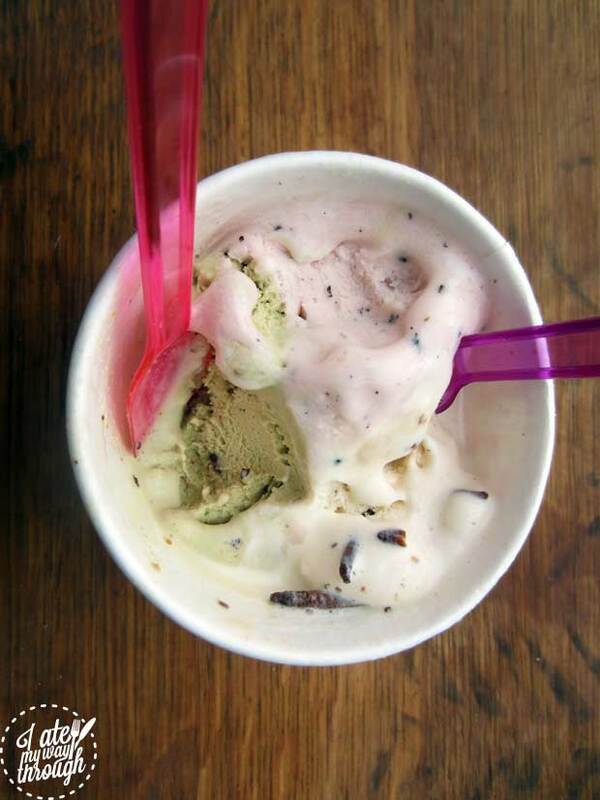 She also expertly paired pistachio gelato with the nutty flavour of crickets covered in chocolate. My favourite flavour however was the daring concoction of large-ish pieces of subtly nutty mealworms dotted throughout a delicious salted caramel gelato. While I was licking my gelato I was so overcome with enthusiasm with the whole bug eating project that I started to think about how I could seriously incorporate insects into my diet. I’m sure that anybody who lives in or around Newtown will understand why the first thing that came to my mind was the thriving and extroverted population of cockroaches who inhabit my apartment, sipping on my juice, nibbling on my toast and generally just hanging out and reproducing. Feeling like I had just realised I was living on a gold mine, I excitedly asked Skye if I could just start feasting on my flatmates in order to get my insect fix. Much to my disappointment she informed me that household insects can contain harmful chemicals and parasites and that it really is crucial to only consume specially bred insects. (So maybe the screaming and mouth washing was the correct reaction to my cousins culinary foray). But don’t let that discourage you, as there are plenty of products specifically for people who want to create their own insect-y meals at home. We were amazed to see bulk insects for sale in Thailand at their markets. I must admit I didn’t have the courage to overcome my cultural cringe.